The Makino a51nx is a 400mm horizontal machining center that builds on the highly successful a51 platform with key high performance machining technologies that take productivity, accuracy and machine reliability to the next level. The 14,000-rpm high-speed, high-power spindle features 303 Nm of torque, making it well suited for ferrous and non-ferrous part production. 1G axis acceleration and a standard direct-drive motor B-axis minimizes non-cut times, whereas a robust casting design and roller-type linear guides ensure the entire a51nx work envelope can be effectively utilized. Additionally, one-piece way covers (X and Z) and a dual-supported tool-change arm provide the foundation for industry-leading reliability and high performance machining capability. The L2 VMC is a high-performance-oriented vertical machining center that delivers the optimum solution for high-production, small component machining. 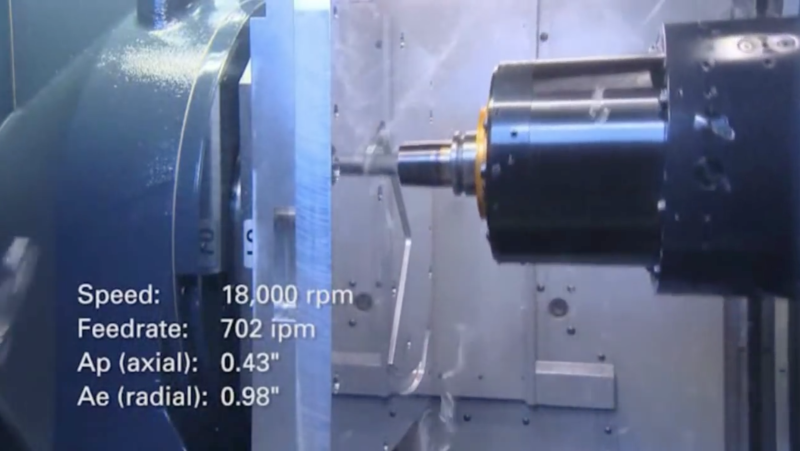 Equipped with a 16,000-rpm, 20-hp, HSK-A50 spindle, the machine can easily tackle the rigorous milling, drilling and tapping tasks required for various production parts—and has the speed and acceleration to dramatically minimize part cycle times. A 30-tool magazine ensures a wide variety of tools to address any part configuration. Complete with a built-in pallet changer, the machine provides for fast, efficient part exchange—maximizing machine utilization and minimizing part floor-to-floor times. The standard A-axis rotary table also gives access to machine features of the part not typically accessible on a traditional vertical machining center. At only 3 feet wide by 7 feet deep, the machine minimizes the floor space required to achieve high levels of production, can be readily moved and reconfigured, and is a breeze to integrate with various types of automation. 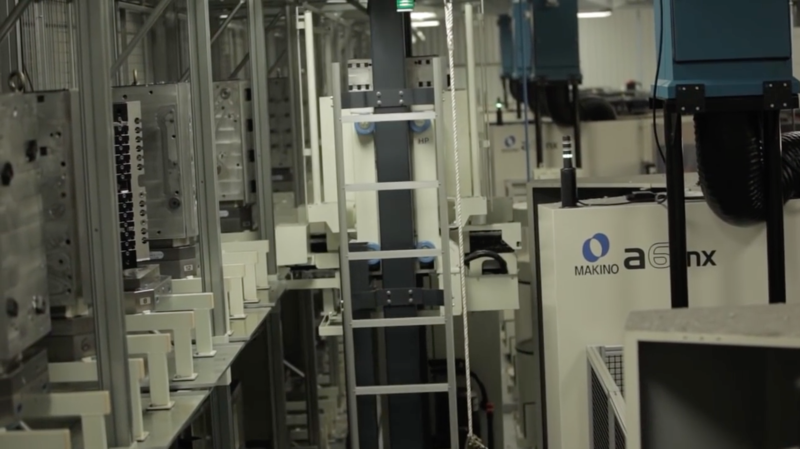 Makino’s MMC2 is a modular, automated material handling system that links Makino’s horizontal machining centers, pallet loaders and operators. A servo-controlled vehicle transports material to and from machines, with little, if any, operator intervention. Each system is completely flexible and can be designed for your facility using standard components while its modular flexibility permits future expansion as required. 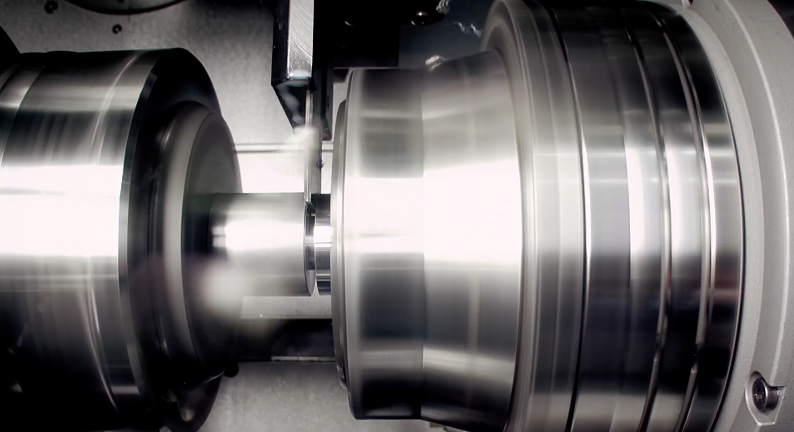 The Makino Machining Complex (MMC) assigns work and initiates operations automatically, based on machine and material availability, utilizing maximum spindle capabilities and monitoring all automated procedures. 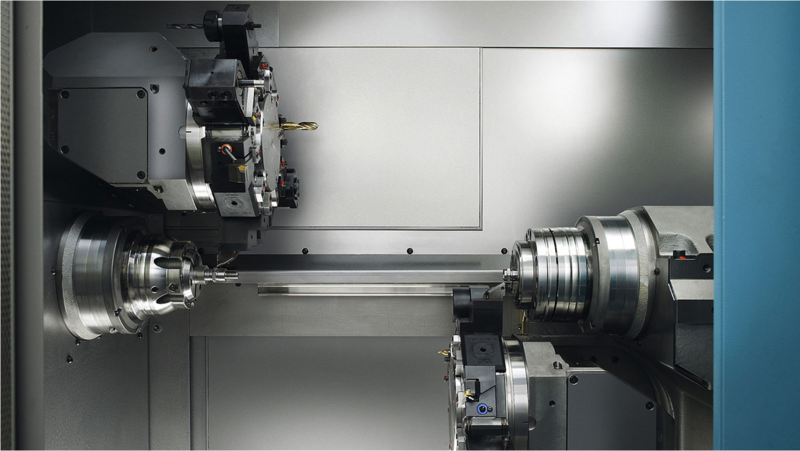 Up to 15 machining centers and four different work-setting stations can be included in MMC. The system can handle up to 200 pallet stockers—stacked either one, two or three layers high—with an unlimited number of parts and fixtures. The MMC2 system software features in-cell production scheduling, equipment status monitoring, NC program management, tool data management and reporting capability. Focus on production and control – Industry 4.0 included. Xpanel: The operating system for direct communication of the production turning machine C200 with your business organization. Xpanel consists of an 18.5” multi-touch screen, the latest control INDEX C200-4D based on Siemens S840D sl and Industry 4.0 functionalities. Optionally, the Virtual Machine can also be integrated, for example for 3D simulations and production-parallel setup of the next workpiece. The vertical design of the machine bed guarantees optimum chip removal and ready access. 2 x Y axes on the main-spindle or 1 x each on the main and counter spindles possible. This allows an optimum division even of complex operations and a reduction of cycle times. The INDEX C200 opens up new opportunities for high-speed production of parts turned from bar stock. Despite its compact external dimensions, the INDEX C200 has a large-sized working area for complete machining of workpieces. The a61nx-5E five-axis horizontal machining center is built specifically for high-efficiency aluminum machining of small to mid-size, complex five-axis components and monolithic aerospace parts. Its design is based off of the widely successful nx-series machines. The a61nx-5E boosts productivity through the addition of twin direct-drive rotary axes for “one-and-done” efficiency. The a61nx-5E features an innovative automatic pallet changer design that directly loads the pallet into the 5th axis rotary table, while providing a flat surface for ergonomic workpiece loading. Spindle options for the a61nx-5E range from the standard 14,000 RPM high-power spindle, to a remarkable 24,000 RPM, 80kW (duty rated) spindle for aluminum machining in aerospace. This under-race-lubricated, core-cooled spindle is capable of metal removal rates of up to 300 cubic inches per minute in the machining of aluminum. The a61nx-5E brings the metal removal and productivity of Makino’s MAG machines to a smaller platform, allowing aerospace manufactures to “right size” their parts production.